Stonehenge Associates | Lori J. Perrault | Alameda, CA 94501 | Executive Search for the Insurance Industry | Staffing services for sales, underwriting, reinsurance and administration of employee benefits and property - casualty insurance products. If you were looking for Lori Perrrault of Stonehenge Associates, located in Alameda, CA, you have come to the right place! Click HERE to continue to the main Stonehenge Associates site. 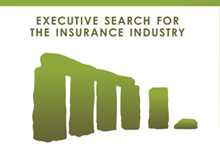 Stonehenge is an Insurance Industry Recruiter and Executive Search Service firm for the Insurance Industry. Stonehenge Associates provides superior staffing services to those involved in the sale, underwriting, reinsurance and administration of employee benefits and property/casualty insurance products.